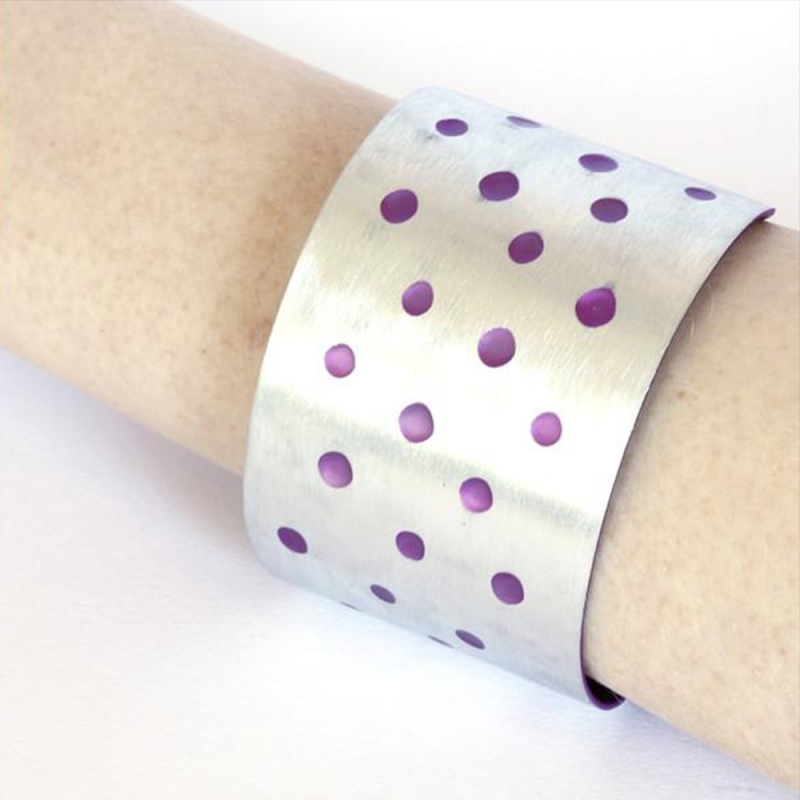 This cuff is made from aluminium that has been hammer textured, anodised to gain its rich colour and then sanded back to reveal the silver of the metal. Measurements The cuff is 40mm wide and has rounded ends for comfortable wear. This cuff would suit a wrist size of 17-18cm in circumference.